I truly believe that beauty can be found everywhere and in everything. As an artist, I am able to create and collaborate by cutting and coloring; drawing from the constant inspiration I find - from the mundane to the insane. My technical skills derive from graduating as a phase II Future Professional from Paul Mitchell. I followed this by working at an award winning Aveda salon in one of the most affluent neighborhoods of America in Los Gatos, California. 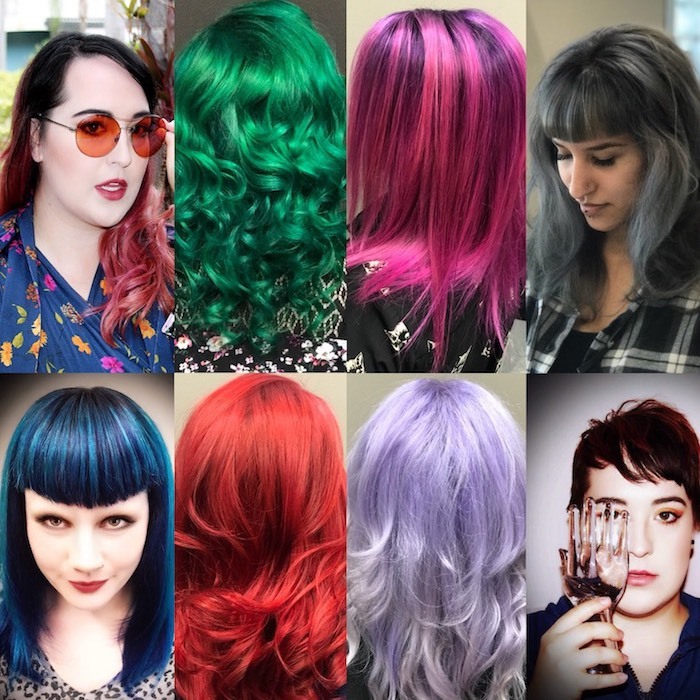 I specialize in dramatic and intense colors as well as precisely destroyed structural hair cutting. I pride myself in maintaining the optimal health of hair as well as utilizing all of my collective and ever growing knowledge to provide the best possible service and admirable results. Every service I perform is tailored, customized, and unique to each individual. I look forward to our future relationship together and invite you to consult with me about all of your hair goals, concerns, and dreams. Loveall Co. is an intimate studio providing hair shaping and coloring services as well as an eclectic array of beauty products and goods with an emphasis on local and independent companies. Conveniently located within the College Park iStudio Salons, Loveall Co. offers a welcoming, relaxing, and fun while professional atmosphere for all. Complimentary WiFi, parking, as well as our snack and drink bar are always available. Walk ins are accommodated as scheduling allows. At its core, Loveall Co. is first and foremost a hair salon. The term Saloon is used to describe the relaxed and fun environment I provide for all who visit. The personal touches I have added to my intimate studio create a uniquely designed space with a touch of modern western ambiance and a carefully curated selection of products and services to stimulate all of the senses. I can't wait to welcome you for your next service! All hair shaping services include a thorough consultation, shampoo and conditioning treatment followed by an aromatherapeutic scalp massage, and a blow dry style with minimal hot tool work. A deep conditioning treatment may be added to any service for an additional 15 dollars. Creative/correctional colors are priced on a case to case basis, please contact me for a consultation. Toners are included in all foil work and lightening services. Prices may increase due to length and density of hair requiring more product. All color services include a blow dry with minimal hot tool work. In addition to great hair; an eclectic and unique array of products are always on display at Loveall Co. I am a product junkie and love that I am able to provide some of my favorites to all who visit! Feel free to stop by and browse the current collection! © 2023 by Hair by Jeremy Loveall.